DELTA 108 EXPLORER YACHT "PRINCESS GLORIA"
PRINCESS GLORIA is, without question, one of the finest world-cruising class vessels of the decade without compromise in her design, engineering and construction. Her heavy displacement, draft, beam and low CG combine to provide a “comfort at sea” beyond anything else in this size and class. Additionally, her full-volume interior provides the space and comfort of a much larger vessel. PRINCESS GLORIA was delivered new to her current owner in 1991 with much acclaim by Showboats magazine, the Robb Report and others throughout the industry. Copies of these articles are available. The owner and his family have spent countless days cruising the oceans of the world while maintaining the vessel in top “ready-to-cruise” condition. A major price reduction now provides an excellent opportunity to own one of the world’s greatest expeditionary vessels with a replacement value estimated by Delta of $18 million. A permanent slip and an Oregon corporation are also available with purchase. 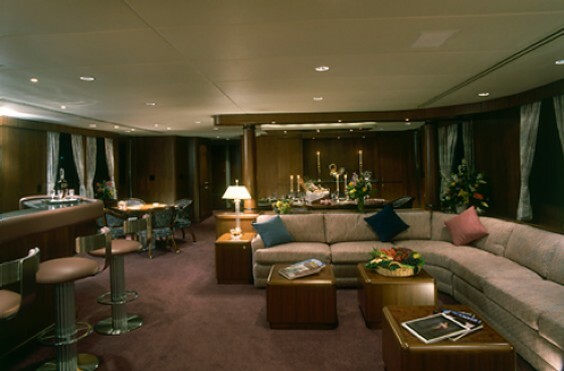 Entering from the aft deck is a very spacious Main Salon with large windows, comfortable seating area, granite bar and game table. Just forward of the salon is the Formal Dining Salon. These two spaces are separated by a low-level buffet with storage for dinner ware. Continuing forward is the Galley of commercial proportions laid out for safety and function; e.g. all countertop appliances may be attached to cars on a sail track to keep from moving about in a heavy sea. 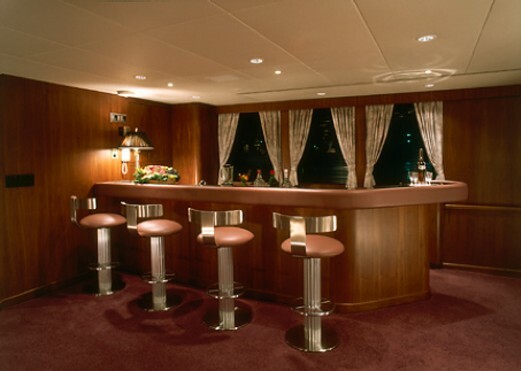 This galley area is centrally located to all primary living spaces including owner’s cabin, guest cabins, crew area and is also convenient to upper decks. Continuing forward on the main deck is the Owner’s Cabin with king berth, desk, wardrobe, and large head with separate shower and Jacuzzi tub. 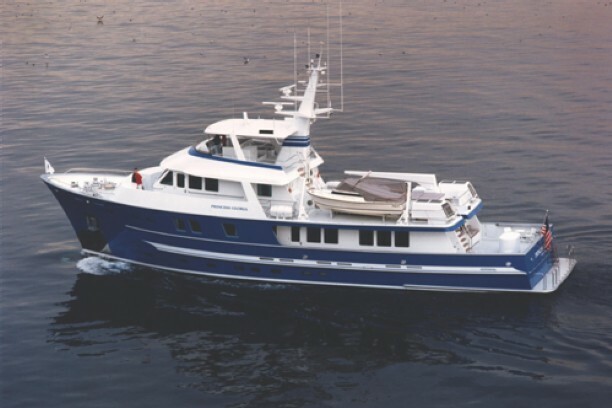 A day head accommodates all main deck spaces. 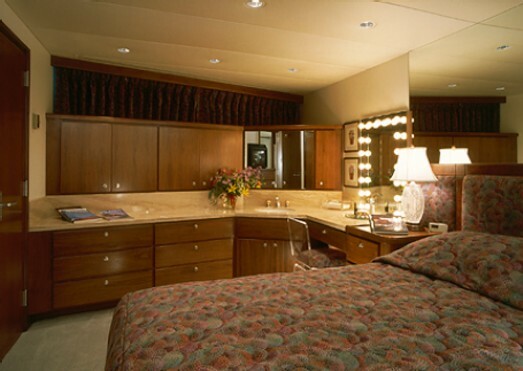 Four Guest Cabins are below decks providing a great deal of storage and closet space, each with their own private bath. 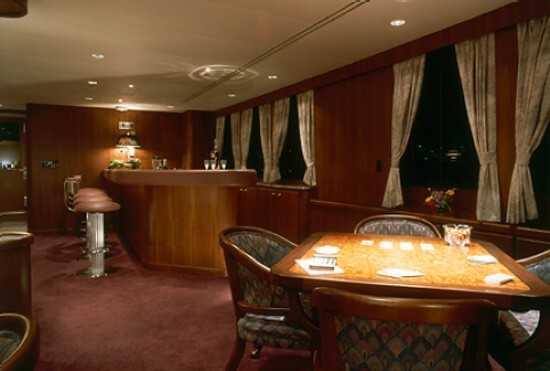 Two cabins have queen berths and two have twin berths. The Crew Quarters are forward and down from the galley. 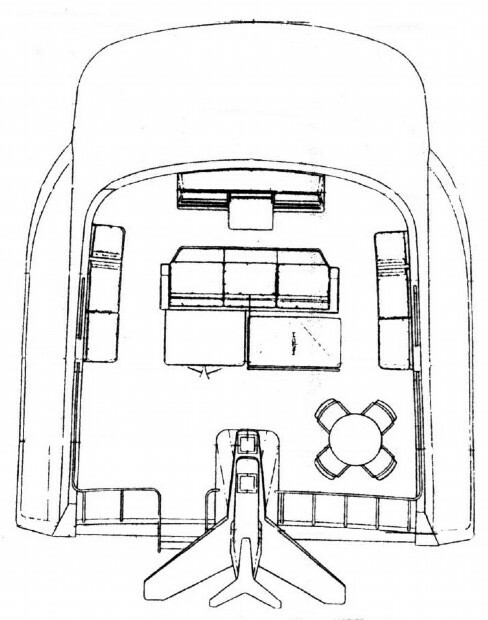 In addition to the captain’s cabin on the upper deck, there are three crew cabins below, each with private head and shower and ample storage. Each has a single berth but may be fitter with an additional upper berth. 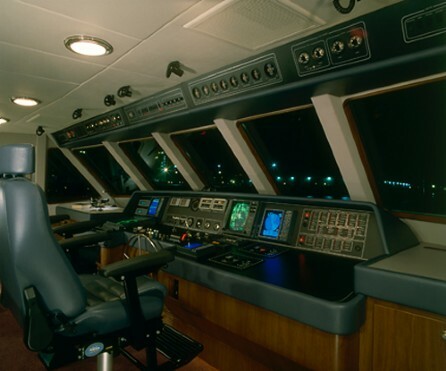 The Pilot House features a separate navigation station with chart table, ship’s office and communication center and a large settee. 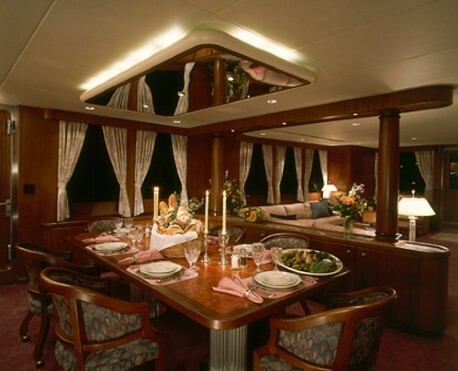 The Captain’s Cabin is accessed directly aft and is fitted with a queen berth and ensuite head. Pilot House doors lead out to the Portuguese Bridge, aft Boat Deck and Flying Bridge. 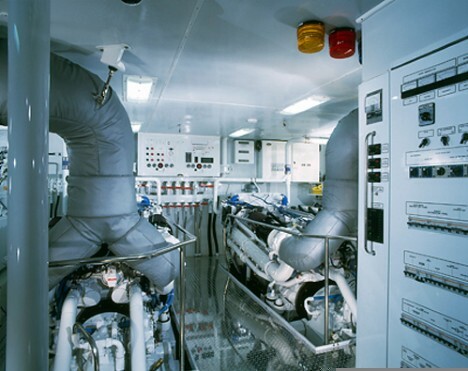 Large davits, an emergency generator and an auxiliary air compressor are featured on the boat deck. The flying bridge is protected by a hardtop and is equipped with full instrumentation, lounge seating and dining table. The interior joinery is solid Walnut hardwood and veneer paneling to the highest standards with satin finish.